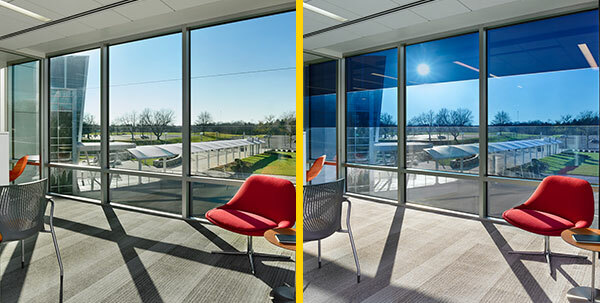 SageGlass tints on demand, controlling and combatting the sun’s inherent side effects in the form of solar heat gain and glare to improve occupant comfort, wellbeing and productivity, all while helping to improve building performance. 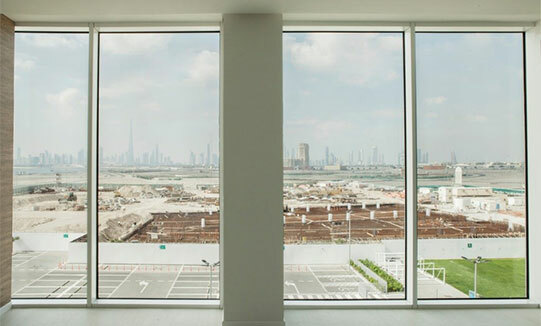 SageGlass was pioneered nearly thirty years ago, and has installations across the world in a variety of market segments including higher education, healthcare and commercial spaces. With more than 700 successful installations worldwide, one can’t help but think that each installation requires different designs and functionalities. 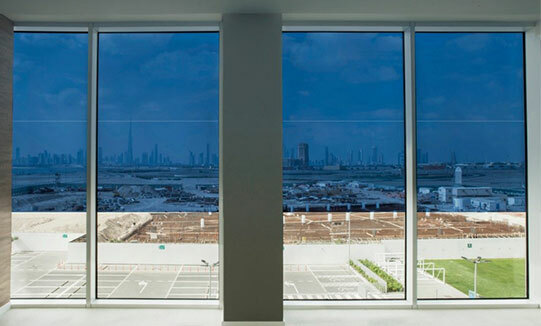 Rest assured that SageGlass is a flexible solution available in several standard configurations to fit your project needs and design intentions. Our experienced and knowledgeable team members will work with you to help determine the optimal solution to ensure the best results for your project. Each of our highly engineered, state-of-the-art products offers a unique solution and approach to your design and solar control needs. 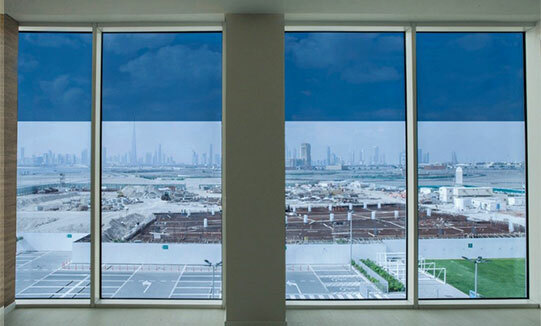 As you will see, there are trade-offs in terms of the switching speed of the glass from clear to tinted as well as the aesthetic appearance of the glass, but each of the products delivers outstanding solar control and has been proven in the field. 1) No bus bar – This product has been utilized much more recently as it allows for even our largest glass size at 5x10 feet to maintain a sleek and modern look while boasting a clean and unobstructed connection to the outdoors. SageGlass’ full dynamic performance spectrum is just as easily achieved with this product; however, it does so with slower transition speeds than with a center bus bar. All good things take time, and we guarantee the results are worth the wait! 2) Center bus bar – By applying a thin, visible line across the glass, SageGlass provides a solution which yields nearly 50 percent faster transition speeds than the standard no bus bar option. SageGlass does not require a vision area bus bar, and including additional bus bars is purely a functional design feature which serves to enhance uniformity and increase transition speed in certain applications. In addition to the uniformity and transition speed benefits, the center bus bar option can also act as a divider, ultimately allowing for independently controllable “zones.” This is our “original” product and has achieved proven results since our first commercial installation almost fifteen years ago. 3) LightZone® – Some would refer to this product as the best of both worlds. The patented LightZone® technology from SageGlass allows for the “in pane zoning” benefits of a center bus bar product with the unobstructed aesthetics of a no bus bar product. A fine line is laser cut across the glass, isolating the coating stack to a defined area and essentially allowing for the ability to create two or three in pane zones within a single insulating glass unit. This revolutionary technology provides optimal glare and heat gain control for the occupant while maintaining just the right balance of daylighting and interior color quality. 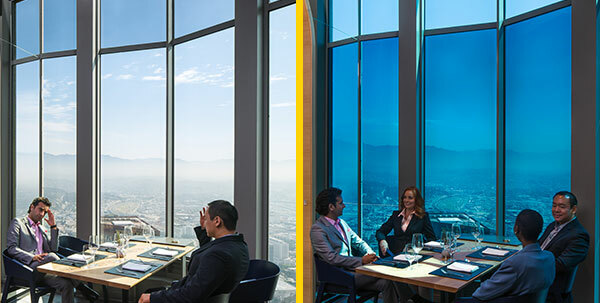 See below for 3 images of SageGlass with LightZone® in clear mode; with the top section tinted; with the bottom two-thirds tinted. LightZone® can be tinted in a wide variety of configurations as desired. So, whatever your challenge or goal may be, rest assured SageGlass has a solution to meet your needs. Contact a SageGlass team member today to learn more about our available products and to see which of our state-of-the- art technologies is the best fit for your project.